To prepare for the launch of SmartGlass on Xbox 360 later this year, Microsoft will release the SmartGlass SDK to developer partners. 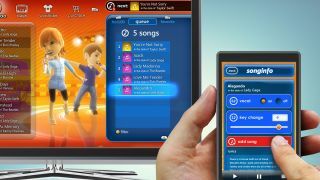 Microsoft unveiled SmartGlass at E3 2012 as the company's answer to the Wii U and its built-in controller screen. Demonstrations showed how any tablet or smartphone could be used as a second screen to extend Xbox 360 games and apps. One example used a tablet to create plays for a new Madden football game, while another displayed a real-time map of Westeros on a tablet while watching Game of Thrones through the Xbox's HBO Go app. SmartGlass can also allow users to start a streaming video on the Xbox 360 and continue watching on the go, or enable precision touch control when browsing on the Xbox 360's upcoming Internet Explorer app. Microsoft could have easily locked SmartGlass down to its own devices, especially with the recent unveiling of Windows Phone 8 and the announcement of it Surface tablet. Instead, the SDK can let iOS and Android devices play nice with Xbox, meaning that we might actually see developers support it.